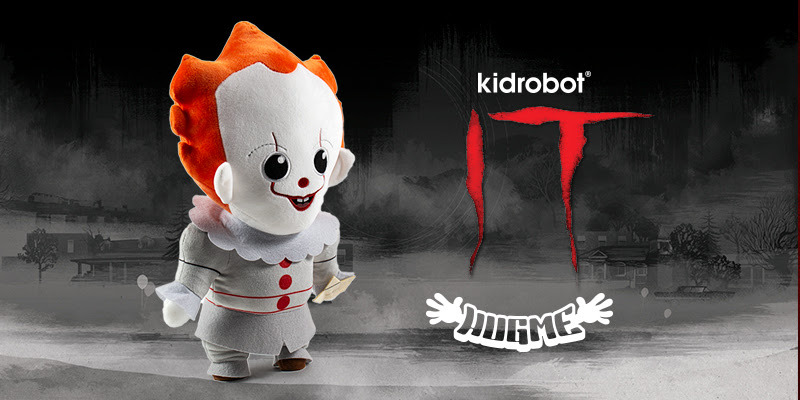 Kidrobot brings nightmare fuel to life in adorably sinister plush form with the new IT Pennywise the Dancing Clown HugMe Shake Action Vibrating Plush. 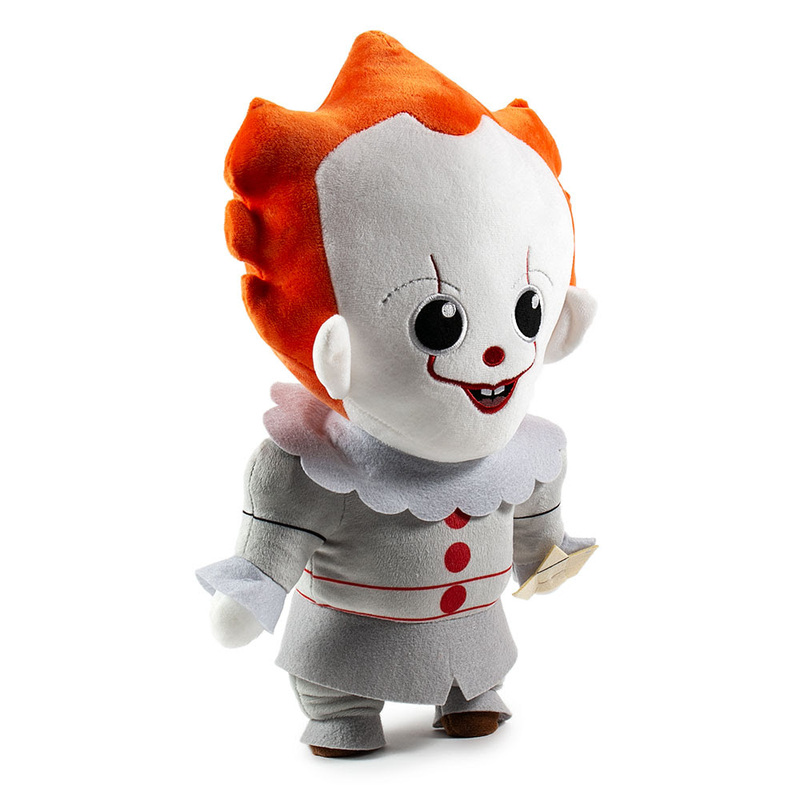 This 16 inch tall high quality plushie version of Stephen King's IT Pennywise is ready, boat in hand, to dance his way into your dreams. 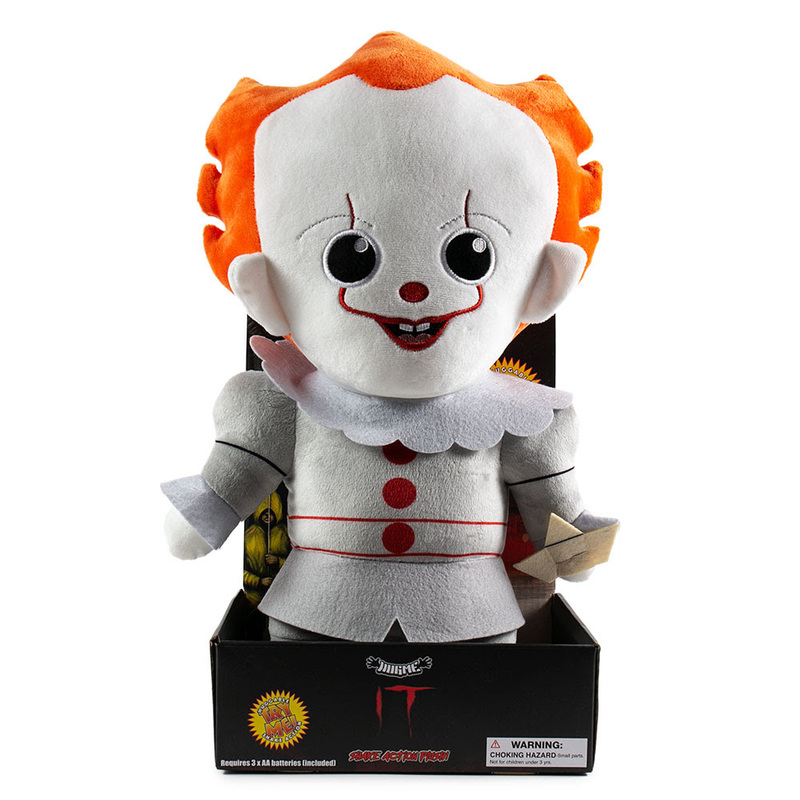 With an irresistible smile and ability to come alive when you hug him or even when you clap, you’ll want to hold Pennywise close and never let go. 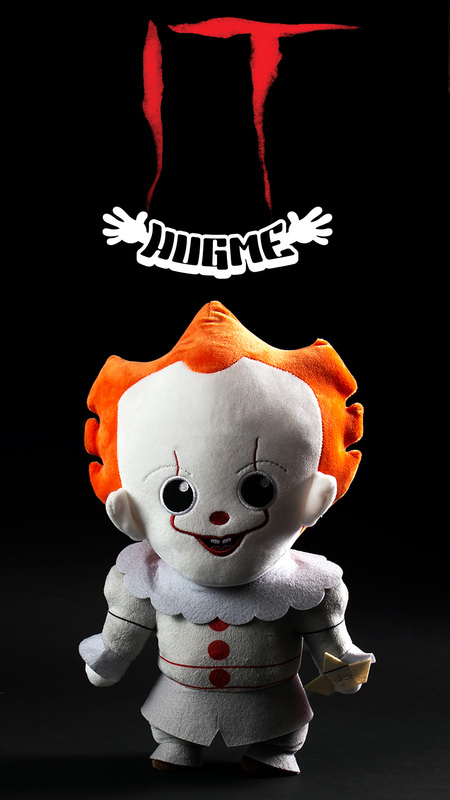 He might know your deepest fears and send chills down your spine, but day or night the IT Pennywise HugMe Plush will be there to climb out of the sewer and give you a big hug like no sane stuffed animal can. 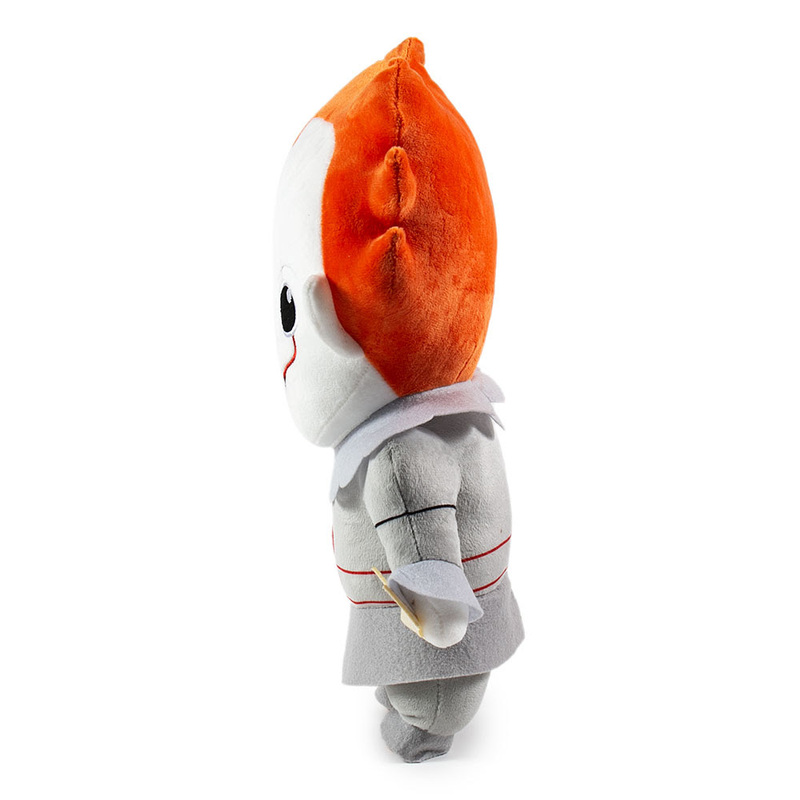 Features Kidrobot's signature HugMe plush shake action when you hug it or clap! 3 AA batteries included. 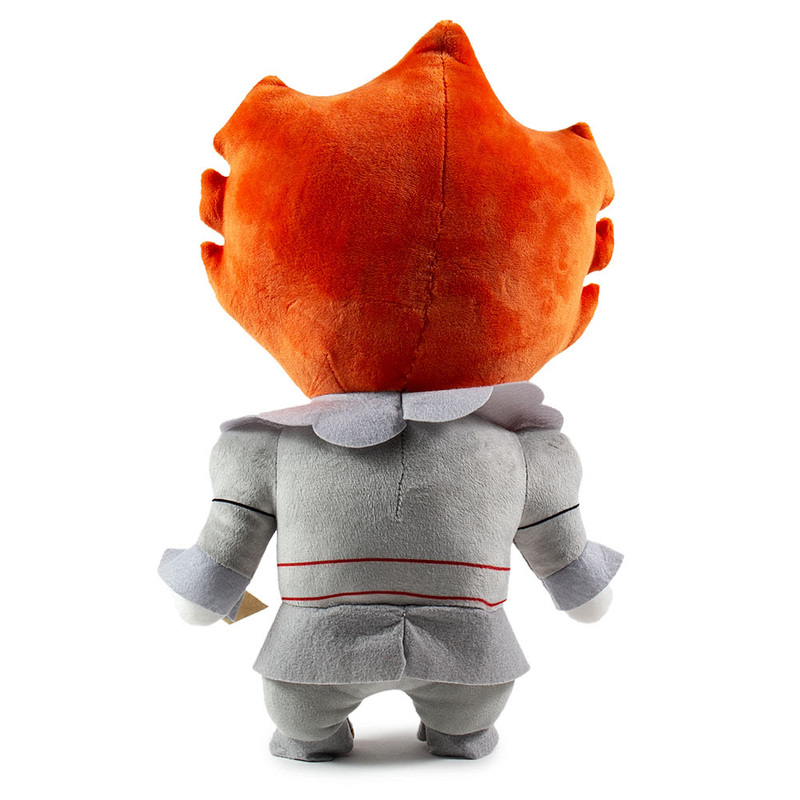 Kidrobot brings you some plush buddies with a little action! Introducing the all-new HugMe shake action plushies. These 16 inch tall high quality plush characters not only shake when you hug them but also when you clap. Your favorite characters are brought to life including Ghostbusters Slimer, Marvel Guardians of the Galaxy Groot, Godzilla, Marvel's Deadpool Riding a Unicorn, Aggretsuko and more. Collect them all right now at Kidrobot.com!